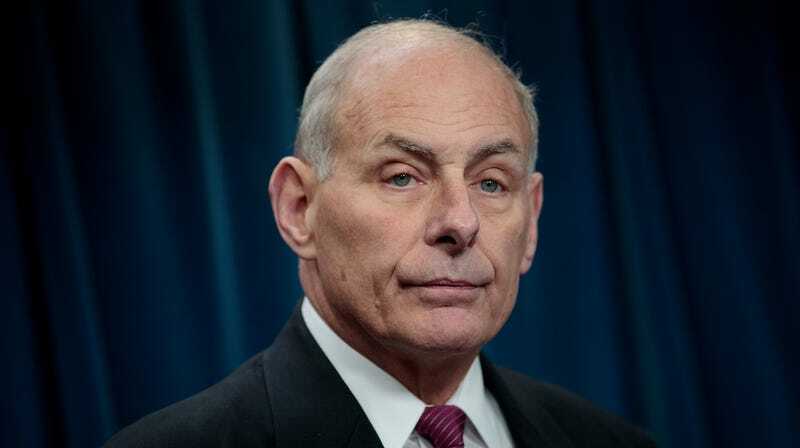 White House Chief of Staff John Kelly informed his staff in an email that one of his personal email accounts hacked while he was still serving as Secretary of Homeland Security, confirming previous reports that suggested one of his phones may have been compromised. The breach, which the White House has previously declined to comment on, was confirmed by Kelly in an email obtained by BuzzFeed through a Freedom of Information Act (FOIA) request. Ironically, the email in which Kelly confirmed the hack was a message urging staff to limit email communications to avoid surrendering information via FOIA. Kelly then made reference to concerns about being hacked, in which he confirmed one of his accounts was compromised. “Then there is hacking which one of my own personal accounts has suffered recently,” he wrote. As a result of the breach, Kelly said he does “almost everything” over the phone or in person. Kelly’s email in part confirms what Politico reported back in October 2017. At the time, the publication said that White House officials believed Kelly’s personal cellphone may have been hacked. The breach was said to have occurred in late 2016 while Kelly was working in President Trump’s Washington transition headquarters before the administration moved into the White House. The White House declined to confirm the hack at the time it was first reported. The National Security Agency reportedly told senior officials in the Trump campaign to stop using personal phones and email addresses shortly after the administration took office, warning that improper use could leave them vulnerable to spying from foreign adversaries and other malicious actors. Kelly, gearing up to serve as the head of DHS at the time, no doubt knew the risks of using a personal account well before the briefing. Kelly likely isn’t the only member of the administration to be hacked. Former White House communications director Hope Hicks reportedly disclosed to the US House Intelligence Committee that one of her email accounts was hacked. Then there is President Trump himself, who has absolutely refused to give up use of his personal cellphone. Kelly supposedly banned the use of personal devices in the White House earlier this year, but that hasn’t stopped the president from making plenty of calls on his own, unsecured phone. Trump supposedly doesn’t even like handing over his phone to the White House security team to check for vulnerabilities because it inconveniences him too much. Clearly, if we’re counting on President Trump to lead by example on best security practices, we’re all screwed.